"Very comfortable, and varied environment. Wildlife a little difficult to spot, but tracker JD and guide Waga did a great job with us." 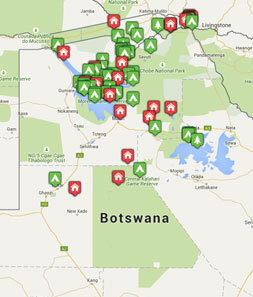 "I adored Lagoon Camp - wonderful accommodation, fabulous staff, exceptional game viewing (special thanks to Carlos). Thanks to all again for making my birthday to special. When we first arrived at Lagoon we were told "welcome to your second home" and we really did feel that. A very special place."